Since venturing out on my own as an independent consultant, I’ve been busy meeting up and networking with prospective clients, industry peers and business partners. When meeting with prospective clients, a common frustration that they face when asked why they are unhappy with their current agency/provider is TRANSPARENCY. Looking at some of the documentation and communication provided, I can see why clients are frustrated and unhappy. 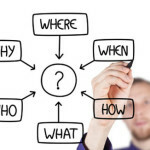 The Six W’s, are questions whose answers are considered basic in information-gathering. They are often mentioned in journalism, research, and police investigations. They constitute a formula for getting the complete story on a subject. 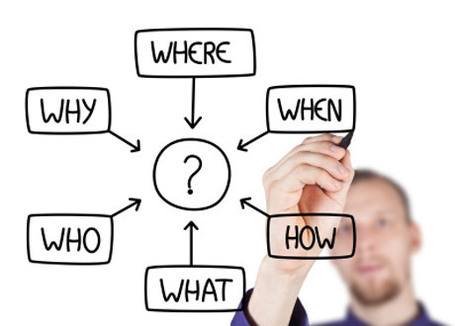 According to the principle of the Six Ws, a report can only be considered complete if it answers these questions starting with an interrogative word. Here’s how I would apply the 6 W’s model to every pillar. Everything in search begins with keyword research, outcomes of this piece of research will help make informed decisions and act as a starting point for the other pillars. Before you send through that list of keywords for your clients to approve, make sure you have done your homework and show the reasons you have selected those keywords to target. Who is the target audience? Are the keywords suited to the target audience? 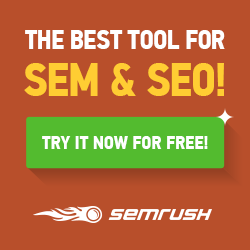 What tools did you use to pull keyword data? What level of improvements can we expect by targeting these keywords? When are these keywords highly searched for? Why did you choose these keywords? Is it because of popularity? Conversions? Where are these keywords going to be mapped on the sales funnel? Does every keyword have a mapped page and are there content gaps? How is this piece of deliverable going to help with the overall strategy? SEO technical audits are where the 6 W’s can play a huge role. SEO’s can sometimes get carried away with the technical jargons and recommendations and forget that sometimes we are dealing with day-to-day people who may not know anything about code or servers. Once again, put some justifications in to every recommendation. Who is responsible for implementing the recommendations? Who should be involved? What is the problem/issue discovered? What is the severity? What is the impact of implementing the recommendation? What is the best practice? Why is it important to make the relevant changes? Why did you make that recommendation? Where are the recommendations going to be implemented? Code level? Server-side? Is it going to impact look-and-feel? How should recommendations be implemented? Are there any prerequisites? On-site elements are what sends search engines the relevancy signals they need to determine what the page is about. I classify on-site as meta data optimisation, headings, alt tags, internal linking, etc. Who is the target audience? Who are we trying to reach? Whose is responsible for implementation? What is the impact of on-site on the overall strategy? What is the issue/problem with the current on-site elements? What are we trying to achieve? What are the brand guidelines? What is the best practice? When should it be implemented? When should on-site be updated (promo/campaign/etc)? Why did you make these recommendations? Why did you choose that call-to-action? Why are the meta-data structured like that? Where are the recommendations going to be implemented? Is it going to impact look-and-feel? How is this going to impact performance? Provide justifications. Before you start preaching that “Content is King” to clients, you need to take a step back and answer these questions. When you do eventually produce content, clients will have a clear idea of reason and intent behind it. Who are we trying to target? Who is the target audience? Who needs to be involved with the production of content? What data do we have about our target audience? What forms of content do they consume? What types of content is suitable for the budget? When should the content piece be launched? Is it time and season specific? Why do we need more content? Are there content gaps on the website? Where is the content going to sit on the website? How are we positioning ourselves? How will adding more content/pages affect the architecture of the website? How is adding content going to help? This is probably one area where IMHO needs the most transparency and honesty. If you are providing clients with link reports every month, you should be prepared to answer questions and justify why those links were acquired. I like to set expectations at the start and address all of their concerns and outline the link building approach to get everyone on the same page. Who is the target audience? Who are we trying to reach? Who is going to be doing the link building? Who can we approach for a link? Who should we outreach to? What is the impact of a link? What can we do to attract links? What type of links? What pages are we trying to target? When should link building start? When is a good time to outreach? Why was the link acquired? Is it relevant? Will it drive traffic and increase brand awareness? Where are the links pointing to? Where are we pushing/outreaching content to? How has link building impacted the campaign? How long did it take to acquire that link or execute that strategy? I hope you found this post useful. Please feel free to drop me a line in the comments box below if you have any feedback or questions.